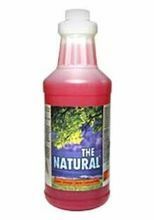 A ready to use cleaner for carpet, upholstery, vinyl, leather, wood, tile, fiberglass, hands & hair. Removes grease, tar, oil, chewing gum, label and adhesive residue, scuff marks, lipstick, makeup, crayons, wax, carbon & soot from any surface. Free of dyes, petroleum and chlorinated solvents. Super Citrus Cleaner cleans, degreases, and deodorizes in one application while combining the advantages of natural solvents and detergents with the finest non-fuming synthetic solvents and cleaning agents in one product. * Contains natural citrus solvents, vegetable derived detergents and food grade water conditioners. * Minimally hazardous to humans, animals, the environment or areas being treated when compared to traditional highly caustic degreasers. * Free of phosphates and fuming solvents and EDTA found in most other citrus cleaners. * Pleasant natural deodorizing action leaves a fresh scent. * Lower in alkalinity than almost all heavy-duty degreaser/cleaners. * One product cleans many surfaces and may be used through many application systems. * Non-corrosive and actually inhibits corrosion when used on bare metals. * Safe for use on glass, aluminum and most plastics. * Extremely easy to use. * Very free rinsing which saves labor and eliminates residues. * Breaks down oils, soils, and greases without letting them reattach to the surface being cleaned. * More dilutable with water and economical to use than most degreaser/cleaners. * More multiple purpose than other degreaser/cleaners, which saves inventory, space and money. * Works on contact thus eliminating customary waiting times for the product to work. * Equally effective in hard or soft water. Avoid direct eye contact. Do not take internally. Avoid prolonged skin contact. Wash skin with soap and water after use.